Admission is free. Reservations required. RSVP beginning Wednesday, January 30, at 9 a.m. Award-winning theatre artist and educator Anne Basting is working toward a moment when the arts are integral to the entire life cycle. For over fifteen years, she has developed and researched methods for embedding the arts into long-term care, with a focus on people with cognitive disabilities like dementia. Through the nonprofit TimeSlips Creative Storytelling and books including Forget Memory: Creating Better Lives for People with Dementia, The Stages of Age: Performing Age in Contemporary American Culture, and The Penelope Project: An Arts-Based Odyssey to Change Elder Care, Basting has put forth an alternative concept of aging, one that focuses on its possibilities as well as its challenges, and that understands art and emotional connection as critical to our well-being as we age. Join us for an enchanting evening with Anne Basting, who will inspire us to age—and think about aging—in a new way. 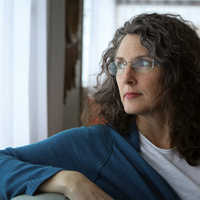 Named a 2016 MacArthur Fellow, Basting has written and/or produced nearly a dozen plays and public performances, including Slightly Bigger Women and Finding Penelope, a play inspired by a year of intergenerational conversations about the myth of Penelope from Homer’s Odyssey, and professionally staged at a long-term-care facility. Saturday, February 23, 2019, from 10 a.m. to 2 p.m. Presented by USC Visions and Voices: The Arts and Humanities Initiative. Organized by the USC School of Dramatic Arts. Co-sponsored by the USC School of Gerontology.